1. 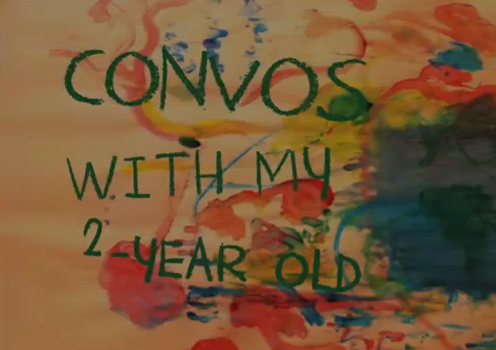 Firstly, a funny video for all parents who have experience with the 'I-run-this-show' type of two-year-old girl. I laughed out loud, then immediately searched to see if it was part of a series for more entertainment. They've just released their second video. 2. Another video that caught my attention this week was a second witty play on words from Kmart entitled, 'Big Gas Savings.' 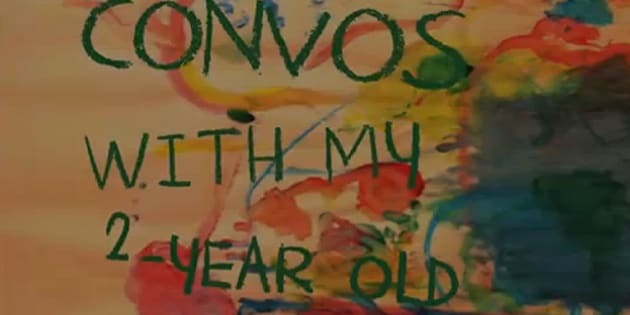 Their first viral video, 'Ship Your Pants,' had over 17-million views, but One Million Moms, the U.S. Christian mom group, did not react well to its popularity, referring to it as 'disgusting' and encouraging moms to pressure Kmart through social media to take the video down. Instead, Kmart released a second video -- the Big Gas Savings ad -- which has already had over 4-million views in a week. What do you think: funny or inappropriate? 3. 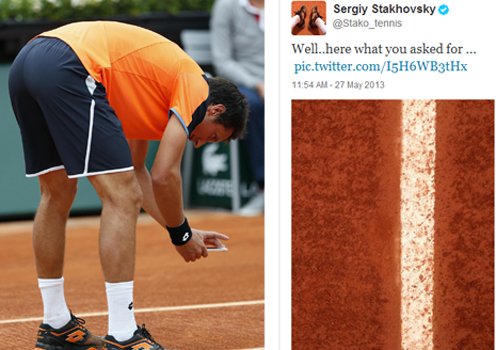 In sports news, we saw Sergiy Stakhovsky, a Ukrainian tennis player, stop play at the French Open on Monday to take a picture of a line call he clearly disagreed with. After a brief interaction with the officials, he leaned over and took a picture with his iPhone. Later, he tweeted it out to his peeps. What struck me was the reality that technology has eliminated the debate in life -- especially in sports. The element of chance or objectivity which is such a real part of the game is becoming lost. No more fights with line judges or debates over whether it was in or out...just as there are no more dinner-table debates about who's on first and what's on second. Now we just go straight to the Google machine for our answer. What would Johnny Mac have done back in the '80s with an iPhone? I know it would have been a lot less fun to watch him, that's for sure. 4. 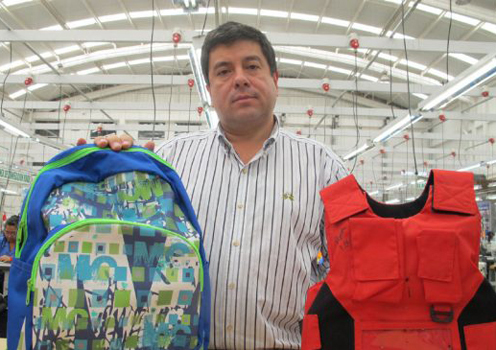 In more troubling news, I read an article in the Toronto Star this week that a company in Colombia that specializes in manufacturing stylish, high-end bulletproof clothing is now in the business of selling bulletproof backpacks and vests for kids. The bags are being specifically made for the U.S. market, and so far 300 have been sold in Colorado. The manufacturer sees a real business opportunity in the U.S. because, while "the rest of the countries in the world try to disarm, the United States say, 'Let's protect ourselves'...So in that light, that's a business opportunity." He is marketing to schools in the hopes that they'll buy the products as a safety measure if a random shooting takes place. Imagine living in a place where you might consider taking measures like this to ensure your child's safety? 5. Finally, I found a fun new product to cart your kids in while biking around this summer. 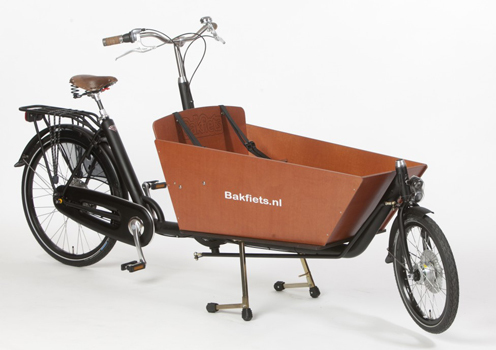 It's called a Bakfiets Cargo Bike and it's been imported here by a very savvy mom from Holland. Even though they confuse me with their nationality (why can't they be Hollish? ), I love the fact that the Dutch bike everywhere with kids. Now, Canadians can have as much fun as they do, because Bakfiets Cargo Bikes are available here. But don't be looking for these bikes at any local bike shop -- they are being marketed in real life at parks and 'meet ups.' Contact them directly for more information on how to arrange a test ride.